Create your own winter wonderland! Design features metallic silver and white snowflakes that measure approx 5"
Create your own winter wonderland! 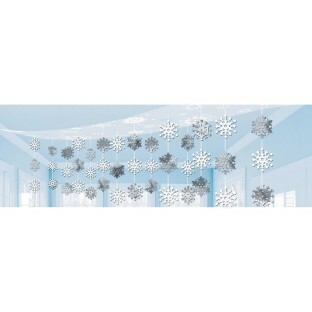 Wherever you are this holiday season, let it snow with this whimsical and shimmering ceiling decoration. 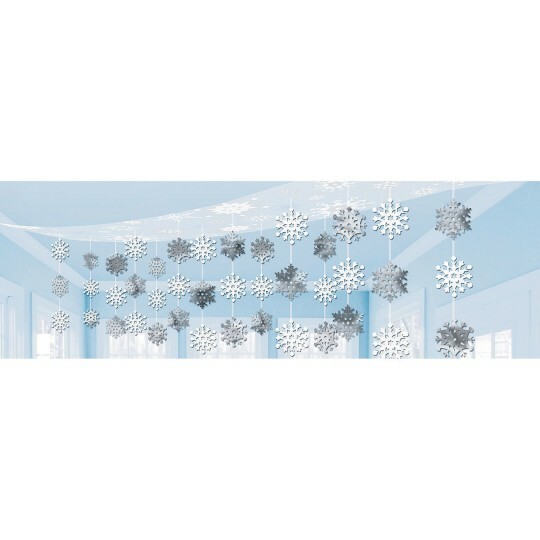 This fun ceiling decoration features a full decorative piece that measures 12” x 10’ with metallic silver and white snowflakes that are approximately 5”. Combination of plastic, paper, and foil. Measures 12” x 10’.